You may have noticed that at Dynamic Discs, we have a robust group of sponsored players, anywhere from touring professionals to casual players who make a big difference in their community. 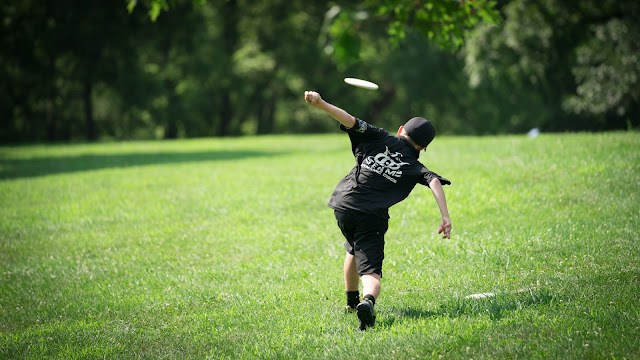 We also like to sponsor junior athletes who have a passion for the sport - it’s both an honor and privilege to be a part of the disc golf career of these young players! But how exactly do we decide which junior players to sponsor? While in many ways the criteria can be the same as an adult sponsorship, we have to take additional information into consideration. After all, picking from a talented pool of adolescents requires a different approach. Being a part of the DD team doesn’t simply mean you’re the highest rated player in your area and you crush it at each event you attend. The ways in which you help to grow the sport and foster a community spirit in your local area speak volumes about who you are as a person and how you align with our team values. It used to be that disc golf was a sport that adults played with their friends on the weekends, yet it has now transitioned into a popular pastime for families around the world. With the emergence of kid only tournaments and a push to teach the sport in schools, it makes our job of sponsoring juniors even more exciting. Do you have a junior player who is obsessed with the sport? As a supportive parent, make sure you’re doing everything you can to help promote disc golf in your own community and encourage your child to play to their heart’s content!